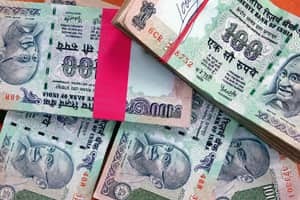 Mumbai/New Delhi/Kolkata: The second quarter earnings of public sector banks in fiscal 2012 have started showing signs of moderation, as most of them had to set aside more money to cover rising bad assets. Relatively smaller banks have done well, but larger banks are being hit. Mumbai-based Bank of Baroda on Monday announced a 14.4% rise in its second quarter net profit, but it could have been better but for hefty provisions following nominal losses on its investment books and rising bad debts. The bank’s net non-performing assets (NPAs), after provisioning, stood at 0.47% of its advances, from 0.38% a year ago. Before provisioning, the bank’s bad debts were 1.41% of its total advances, compared with 1.39% a year earlier. Chairman and managing director M.D. Mallya said the bank’s bad debts came from across sectors and geographies. Net interest income of the bank, which is interest earned minus interest expended in absolute term, rose 26% to ₹ 2,566.91 crore and its net interest margin (NIM) rose to 3.67% compared with 3.62% a year ago. Mallya expects the bank’s NIM to be stable at 3.25% for the full year. The bank’s total advances rose 23.9% while deposits increased by 22.1%. Another Mumbai-based lender, Dena Bank, reported a 20.5% rise in its second quarter profit. The bank’s gross NPAs fell to 1.93% in the three months ended September from 2.26% a year earlier, while net NPAs fell 1.15% from 1.49%. Bangalore-based Canara Bank, however, reported a 15% drop in its net profit because of higher provisioning for bad debts. The bank’s profit in the quarter stood at ₹ 852.22 crore, down from ₹ 1,007.88 crore. “Net profit is lower because of higher provisioning made for NPAs," said chairman and managing director S. Raman. Canara Bank’s net advances grew 24%. Its gross NPAs rose to 1.73% of advances from 1.49% a year ago, as the bank migrated to a system-based NPA recognition, Raman said. Its net NPA ratio stood at 1.43%. Delhi-based Oriental Bank of Commerce’s (OBC) net profit fell 58% to ₹ 167.74 crore in the second quarter, again for setting aside money for bad debts. OBC, too, has moved to a system-based recognition system for NPAs. The bank made a provision of ₹ 342.24 crore for its bad debts, an increase of 56% from a year earlier. “The NPAs have grown due to migration to system-based NPAs. This quarter we brought all sub-Rs 10 lakh accounts under this. Once payments start coming in for agriculture loans, this figure will improve," said Nagesh Pydah, chairman and managing director of OBC. The bank’s net NPA ratio stood at 1.9%, against 0.7% a year earlier. “We are aiming at bringing this down to 1% by the end of the fiscal," he said. Net interest income of OBC fell 8% to ₹ 989.47 crore as the bank had to write back interest on accounts that had turned into NPAs. Its NIM was down at 2.64%, down from 3.3% in the year-ago period. “We will try to maintain our NIM at 2.75-2.8% for the full year," Pydah said. Advances of the bank grew 20.7% while deposits were up 19%. Pydah expects to maintain a credit growth of 20% for the full year. The bank’s board will meet this week to take a call on an increase in lending rates, Pydah said. Among other banks that announced earnings on Monday, Vijaya Bank’s net profit rose 41.5% to ₹ 203.53 crore; Corporation Bank’s net profit rose 14% to ₹ 401.11 crore and Indian Bank reported a 12.72% rise in profit to ₹ 468.69 crore. Kolkata-based UCO Bank’s net profit for the quarter rose 94% to ₹ 231 crore because of lower provisioning towards stressed assets even as the bank’s net interest income remained flat at ₹ 1,010 crore. UCO Bank has set aside ₹ 244.18 crore as provisions towards sticky assets during the quarter, compared with ₹ 430 crore in the comparable period of last year. Its fresh slippage during the quarter was ₹ 514 crore, nearly the same as the corresponding quarter of last year, according to Arun Kaul, chairman and managing director. The bank expects to achieve at least 16% growth in deposits and 18% growth in credit for the full fiscal. Another Kolkata-based lender, United Bank of India (UBI), recorded a 13.7% growth in net profit, riding on an 18.5% jump in net interest income. The bank’s net profit during the quarter rose to ₹ 124.77 crore from ₹ 109.74 crore. Fresh NPAs during the quarter were to the tune of ₹ 623 crore, up from ₹ 203 crore in the comparable period of last year, as mid-size companies are showing stress, Bhaskar Sen, UBI chairman and managing director, said. Stocks of most state-run banks that announced their earnings on Monday gained, with Vijaya Bank rising the most and OBC the least. Vijaya Bank’s shares rose 9.49% to close at ₹ 61.15 on the Bombay Stock Exchange. OBC shares, however, lost 4.73% to end trading at ₹ 290.15. The exchange’s banking sector index, or Bankex, gained 0.7% while the benchmark Sensex lost 0.56%. Anup Roy and Remya Nair in Mumbai, Manish Basu in Kolkata, and PTI contributed to this story.